How do you get innovation into your organization from the bottom to the top? It’s easy to get it installed at a single level, but implementing innovation culture across the entire organization is near to impossible. 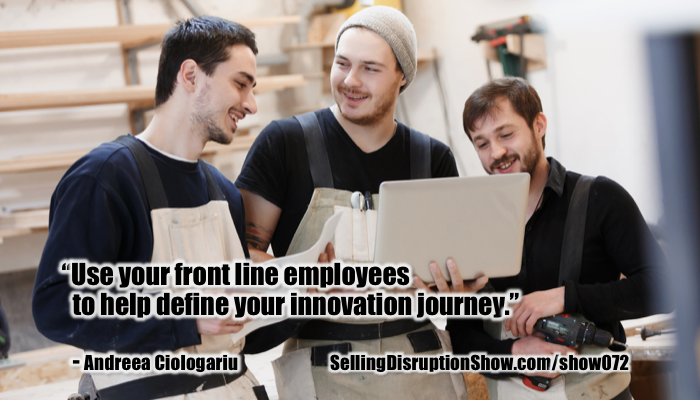 Bo Pelech and Andreea Ciologariu’s innovation program helps companies make a rapid path between what they’re doing today and implementing innovation for the future, which means disrupting your market and but prevent being disrupted. Bo and Andreea are both associated with the University of Toronto and the Rotman Global Executive MBA Program there. They talk about the origin story about their program, recapped the Three Horizon model, and tell what it takes to implement innovation and create a winning corporate culture that attracts, retains, and develop. Our guest is Bo Pelech and Andreea Ciologariu, who are both associated with the University of Toronto and the Rotman Global Executive MBA program there. I met them when I was in Toronto. I was absolutely blown away by an innovation program that they are doing which helps companies make a rapid path between what they’re doing today in implementing innovation for the future, which means that you’re going to disrupt your market and prevent being disrupted. Welcome, Bo and Andreea. Bo, tell me a little bit about what you do with the Applied Innovation curriculum at Rotman. I run an experiential workshop in partnership with the Applied Innovation curriculum at the Global Executive MBA program. This is the mature student side of the equation at UFT. There’s always a challenge in the context that applied in terms of a traditional university setting, which is still very lecture, PowerPoint and even case study-based. On the side of this program, we run an internship program where students take on real-world company challenges. We have companies that define complex problems and students take those challenges on oftentimes in partnership with frontline employees but as a real-world experience. Andreea, you are a business marketing strategist and a professor of marketing. You do a lot of interesting things helping bring companies’ innovative products to a global marketplace. I understand that you are Bo’s best student in this experiential program that he conducts. I’m very humbled by that comment. Thank you. 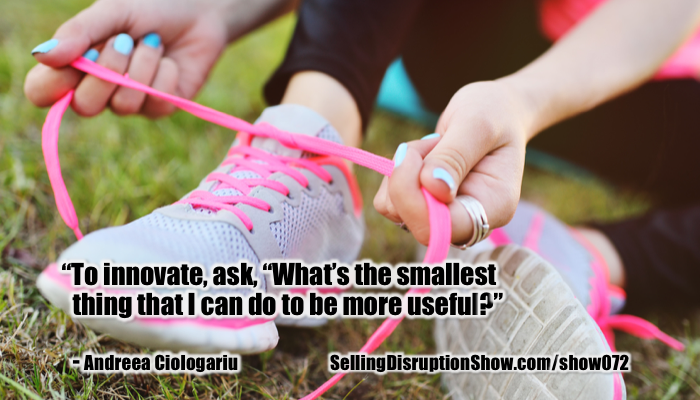 The biggest issue that we’ve discussed in some of our conversations leading up to this podcast is how you get innovation into your organization from the bottom to the top. It’s easy to get it installed at a single level, but getting an innovation culture installed across the entire organization is nearly impossible. How have you managed to do this? If I could start with a little bit of an origin story, this didn’t just come to us. We’ve been at this for a number of years but we started with a model. It’s called the Three Horizon model. Any consultant out there knows that there are a couple of versions of that model, perhaps McKinsey’s being the most well-known. Let’s do a recap of the Three Horizon model. Horizon One is your core activity and that’s where the bulk, 80% to 85%, of your activity is. We’re looking at zero to six months and continuous improvement, but your core activity, the stuff that pays the bills, if you’re not good at this, you can’t be good at innovation. We joke around a lot about Amazon being good at innovation because they’re great at the process. Who else could I order a book this morning and they get me the book tonight? That’s process. The revenue and profitability associated with that core activity are what lets you innovate. Horizon Two is adjacencies and that represents a minority of your activities. Adjacencies tend to be these known factors, known elements, and known issues that you could choose from in terms of the direction of your business and your strategy. The problem is that there’s a whole bunch of them, so how do they align with strategy? Horizon Three is the innovation horizon. This is where disruptive innovation resides and where most innovation programs are focused. If you think about horizon three as a focus for an innovation model, we refer to it as a VC model. It’s based on statistical success rates. If I ask you what you thought is the success rate of ten, twenty different initiatives in a VC model, what would that be as a percentage? About 5% of those are going to fly. Whatever that number is, everybody will be in some reasonable range. I don’t want to necessarily debate that. What I want to debate is that’s a good model for VCs. The question that we kept asking ourselves is, “Is this a good model for companies?” The other one was, “Is this the best model to teach students?” The best model for education in an academic environment where you’re trying to teach everyone what in essence are complex problem-solving skills. That’s what nagged us. It nagged us for about four years. Only in the last year or two do we get clarity and evolved to a philosophy and an approach that resonated for us and that we’re getting some traction externally in the real world. Andreea will speak to this. Our model is different than this typical elite innovation team that most large companies approach innovation with, which I would call as being someone analogous to the VC model. It aligns with this academic mandate that we have to teach everybody entrepreneurial skills. It’s almost embarrassingly simple when we explain it. Perhaps it’s simple only in concept because at the core of it, we’re dealing with corporate culture and changing the corporate culture, which is difficult. The simplicity of it is that we think of Horizon One activity as representing the current state of a company and Horizon Three is the future state. Imagine Horizon One in the context of a traditional S-curve. You’re somewhere near the crest of the curve with the client just over the horizon. While if you overlay the Horizon Three S-curve, it’s currently relatively flat and only beginning to approach its ascension. Someone once said pockets of the future are embedded in the current state. 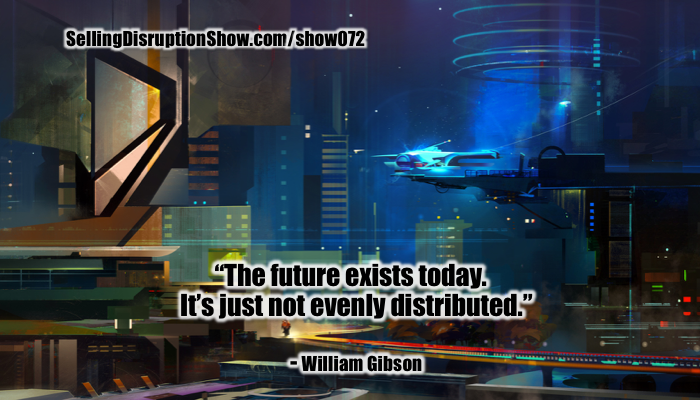 There’s that famous William Gibson quote about the fact that the future exists today, it’s just not evenly distributed. The question for us is not how you get there today. How do you get to Horizon Three? How do you get to innovation or to that future state? 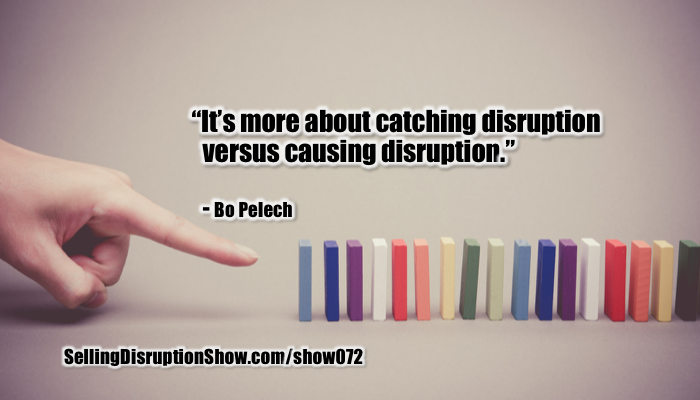 It’s more about catching disruption as opposed to causing disruption. At the risk of getting a little philosophical, it’s more about the journey. In the context of a given future, and that might relate to Blockchain, AI, automation and new ways of collaboration, there may not be a current valid business model in your industry for these types of elements but we know they’re coming. The question is, “What are the steps? What’s the journey? What’s that transition on the way to the future?” Not the future itself. How many times have we heard and I’ve said it and you’ve said it, “I had that idea, I was just way ahead of my time.” For us, that’s a cop-out because it’s not about the idea. It’s about defining that transition, that journey, and we’re trying to teach people how to define that. The way we try to execute on it is that we engage small teams of frontline employees which dedicate a small amount of time each month. It’s more important that it’s continuous than it is a huge allocation of time. We use students and interns and onboarding as a proxy but what we try to do with these teams is get them to surface and experiment on the horizon one improvement activities. We make them consider future scenarios and future visions in the context of this work that they’re doing. In essence, the strategy, which is becoming more and more emergent, now is this methodology that allows them to map current activities to these defined futures. It’s very pragmatic and practical. Employees and students are engaging in Horizon One activities that have a real impact on current revenue and costs. These initiatives can be readily and easily shortlisted by how they map to these future visions and to this transition. We try to risk-manage the approach because you don’t want teams blowing up the company. We use as a guide a wonderful statement from The Agile Manifesto and asked them to constantly consider this at every incremental step. That is, “What’s the smallest thing that I can do that is useful?” In essence, it’s making iteration smaller by not rushing prematurely to the end. The employees’ initiatives have a high degree of certainty related to their impact. We think we’re building a culture at the same time as we’re positioning the company to catch the disruption wave at the right time. The metaphor that we use is this basic “chop wood, carry water” activity but with your eyes on the horizon, not staring at your feet with blinders on. This is quite an innovative idea, Bo. The reason why is a lot of organizations would be frightened to ask their frontline employees to help them with innovation. This runs contrary to the way a lot of organizations create innovation where they put their elites into a team and then lock them in a room with pizza and Diet Coke and say, “Go do it.” What you’re saying is, “No, let’s flip this around.” What we have to do is have innovation at the very front line where people see what’s going on because it’s that incremental improvement that generates the profits that we need to invest in the future. That defines the steps. It’s all about the transition. It’s all about the journey. We’re not asking frontline people to engage in Horizon Three innovation activities. We’re asking them to engage in Horizon One improvement activities, but highlighting how these activities map to the future, how they represent steps in their journey along the way. I want to focus on the fact that that is exactly the challenge that we perhaps face in implementing this. The traditional approach focuses on those top performers and partly ignores that majority of the employees as a source of innovation and competitive advantage. Departing from this mindset to one where impactful and game-changing contributions can be made at all levels of an organization requires a different way of thinking and accepting this innovation can reside at the periphery. It requires a real change in leadership. For the leaders that see this, the impact is tremendous. These visionary leaders and organizations who are able to unlock the potential of all employees definitely outperformed their peers. The second challenge would be around resisting that urge to rush to the end. We all see immediate results yet we know that the foundational element of a strong culture, which is trust, takes time to build. A winning corporate culture attracts, retains and develops talent but it can be quite challenging and not a straight road. Having patience through that journey and not rushing through the end is very important. What I’m detecting here in what the two of you are doing is helping people move from the Horizon One current state into how can we move into Horizon Two, which is a transition state. By managing that transition state, then you can apply the superpowers to the future state by observing where there’s a golden opportunity to tap into efficiencies and market demands. That’s going to propel the organization with cash into the future. What a lot of people don’t have is cash going into the future, which causes so many companies to fail. You’re catching the wave at the right time, as opposed to being the bleeding edge of positioning yourself to catch the wave at the exact time that that business model starts to become relevant. Many organizations don’t have the cash but it’s about learning how to leverage what you already have, your employees. There are numerous and diverse skills that are already present in the organization in your workforce. In face of strong competition or whatever challenge, focus on building the stronger, more competitive organization inside out. You leverage everyone’s strengths. We’ve worked better together. We’re aligned to a common vision and it’s not a one-off innovation, it’s about building that culture of innovation. The idea of creating continuous innovation is a critical concept for our readers. The other aspect I want to point out here is that we’re using the power of our customer. A lot of organizations, especially the VC world, they don’t focus on the customer. They focus on the bleeding edge technology and that’s the reason why VCs can afford to bleed out. The reality is that we have to have customers. Our innovative goal is to position our company to be where the customer money will be on Horizon Three and that is an incremental change. The whole concept here is let’s make this adjustment so that we can use every aspect of what we have, our employees, our current technology, our customers, and develop this meaningful and intentional journey into the future by helping us to do what we can today and generate that pathway to success. If you think about it, who are the individuals that are closest to the customers, suppliers and other stakeholders? Oftentimes, it’s the frontliners that are often disregarded in a lot of innovation initiatives. By strengthening the bonds and collaborating across functions, which is something that we stress on, we want people that have the most diverse background to form a team. That’s how the organization or the whole becomes greater than the sum of its parts. We leverage the strength of the diversity in the teams. We’re not talking about huge commitments. For us, it’s more important that there’s continuity in the commitment. If you’re talking about two or three hours, once a month, but consistently once a month, that’s fine. That works. We can make any continuous commitment work in this environment. It’s not a huge burden in terms of the employees or the commitment. It’s more a change in mindset. It’s like that joke about if I told you, “Don’t think about an elephant.” We want people to think about the future. We want them not to act, not to execute on the future, but we want them to have this vision of the future firmly embedded in their brains as they chop wood and carry water. It changes everything. Just that one little change in mindset changes all of your current activities. That’s a very simple shift, yet I would say it would be non-intuitive to the average corporate culture. Is that what you found? It’s that whole issue of just letting go a little bit, letting these teams go through the team dynamics. Team dynamics are an important element of what we teach. We’re big fans of Lencioni’s Five Dysfunctions methodologies. It’s almost like teams have to run into walls, run into problems, iterate through these problems in a risk-managed way, but most organizations have trouble letting go to the extent of letting these teams approach these complex problems in an autonomous way. It is all risk-managed by the fact that these are the smallest iterations. We try to teach this element of, “What’s the smallest iteration that I can do that is useful? If I build on these on an incremental basis, I’m eating the elephant one bite at a time, but I’m also doing this in a highly risk-managed way.” We want people to fail. We want people to experience the problems of iterations and complex problem solving, but we don’t want to blow the organization up. That’s the approach that’s required to innovate and implement innovation and rule the marketplace. One point on implementation, and this is a little bit of a plug for one of our new partnerships, as an academic and student focus program we’re not particularly well-suited for the further steps along the journey that requires specific insights, expertise or experience in execution. We’ve partnered with the folks of the ICG to make sure that we have that relationship with a broader range of consultants that can seamlessly support the participating companies at the next steps of those journeys. ICG is an internal consulting group, which I’m a part of and which Bo and Andreea are participating in. It’s a way for executives to have access to high-quality consulting services of a wide variety of capabilities without having to pay the big guy prices for it. That’s how I met Bo and Andreea is through this internal consulting group. The answer here is that you are supplying this framework for organizations and then when organizations need more specific consulting assistance, then we can plug into ICG to bring in those consultants worldwide. When a company decides that we’ve done enough iterations and validations on an improvement idea that all of a sudden, there’s a $2 million spend or initiative that they want to undertake, they’re not going to hire us. This is a student cultural facilitation program. That’s where the ICG comes in. You’re underselling this though. The reality is when you say student, people think about somebody in their early twenties. The reality is that the student is the executive who wants to become a student of innovation to master the innovation. That’s true. Their average age is the mid-30s and a lot of them are highly successful executives. When you deal with the things like executing on a program, not just this cultural part-time, whether you use the old Google 80/20 analogy of spending a couple of hours every two weeks or a couple of hours every month. When you get into executing, it’s a full-time job and we are a student environment now. We’re saying the fact that they’re incredibly brilliant students and competent managers. Execution is full-time. Let’s talk a little more about this framework. How do you work with an organization to bring this new cultural vision into play? Andreea, do you want to talk about the steps in the methodology? The program works on two levels, the pragmatic, realistic and tangible Horizon One, where immediate benefits are realized. These can be productivity gains, cost efficiencies and increased customer satisfaction. Typically, the workshops result in a long list of opportunities that can be ranked and prioritized and then acted on as part of the Horizon Two and Three. We teach people how to do that. We help them think differently and utilize the skills that they already have in order to achieve the vision, the visionary, aspirational Horizon Two and Three. The immediate results are important. They maintain engagement and celebrate successes, but the game-changing ideas come in Horizon Two and Three. The question is, “How do you link the immediate action that you’re doing day-to-day to bring you a little bit closer to that vision or the mission or the goal that you have as an organization within the next five, ten years, even less depending on the industry?” Perhaps it will be a good time to share a quote from a frontliner participant in our recent innovation challenge, which is a three to four-month-long program with frontline staff. One of the things that I’ve heard over and over again in my interviews with innovation experts is that you have all the innovation you need right now in your company. It’s just a matter of cutting that loose, of getting it harnessed, and of heading it in the right direction. That quote tells me, Andreea, that this concept brings comfort relief and stress reduction to the entire team as they see a future together. That’s very powerful. While they’re acting on an immediate revenue or cost challenge. It’s a win-win situation. It makes a tremendous impact on the organizational culture. For the management, it helps them to create a structure that allows this grassroots innovation, not in a one-off, but rather in fostering that culture of innovation. Once we step out of the program, once the innovation challenge finishes within the three-month period, they are left with knowing what to do if they want to go through this situation again. We’re not good consultants. Our goal is to consult ourselves out of business because this is something that should have occurred at the company without that use of folks like us. If you change the culture, this stuff will happen. What you are providing to the corporations is the framework that they can install and continue to perpetuate. I would consider it different than a traditional consultant and much more of helping them add more components to their powerful engine to run the business better. At the core, we’re teachers not consultants. That’s just the way it is. This whole program runs about three to four months to get this installed into an organization? That’s the minimum that we look for and most of our clients have extended beyond that. At a minimum, we’re looking at that three or four months just to make sure that we give the teams enough time to go through two or three iterations. They get it well installed and they know that it is going to work and they have the process within their culture. Let’s talk about the difference between innovation and entrepreneurship. The reason why I want to talk about that is that a lot of times there is some confusion in that. From my experience and my definition is that entrepreneurship is about organizing chaos as a way of creating a business. That doesn’t work terribly well in a corporate environment versus innovation is about figuring out process improvement or identifying trends in the marketplace where there’s an opportunity to make money. That’s my definition. I’d like to hear your definition in contrast and compare these two ideas. Two things. One is that this is an opportunity to highlight the fact that there’s virtually nothing original in what we’ve said or what we’ve thought. Ours is a synthesis of the old line about standing on the shoulders of giants. 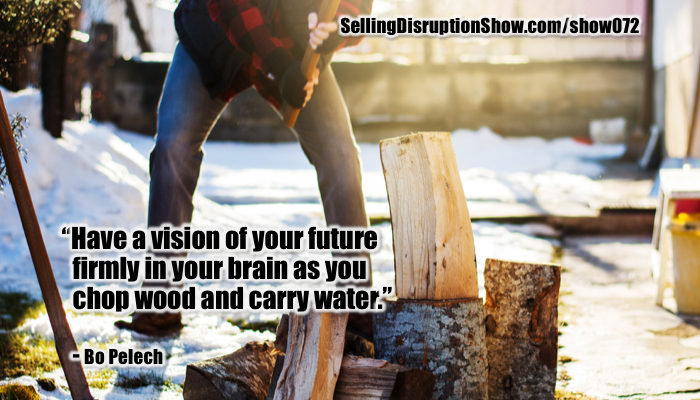 The best definition that we’ve ever heard comes from Peter Drucker. He said that entrepreneurship is simply the ability to systematically analyze an opportunity and exploit it. If you thought about that and if you broke down the challenge of Horizon One and Horizon Three, taking a statistical shot at Horizon Three, the VC model is not an entrepreneurial exercise because you’re taking a statistical shot at something as opposed to truly systematically analyzing that opportunity and exploiting it. Making the words work for me, it’s a little bit of self-serving, but it is about that journey. There’s no point in getting to Horizon Three prematurely, that’s bleeding edge. Most companies aren’t going to be able to sustain or support that. How do I systematically analyze it and exploit it? To us, it’s all about the journey. That’s what we’re teaching. All the traditional Horizon One activities, that’s traditional biz school stuff. How do I create incremental, modest improvement to existing processes? The big thing that we’re adding is how do I define the journey? How do I connect these threads without getting into some bleeding edge, VC-like scenario? That’s not entrepreneurship, at least not to us and I don’t think to Peter Drucker. I wanted to mention that there’s another aspect of it. There’s the transformational change and then there’s the continuous improvement. This program works on both those ends. The continuous improvement is more than Horizon One, it’s the low-hanging fruit. It’s putting people together that have different perspectives and they come up with something great. The transformational could be that disruption in an industry perhaps. The key is if we anticipate that there was going to be a transformation or disruption, let’s say five years down the road, two years down the road, what can we do today in order to better prepare us for that change, to better position us for that future that we anticipate? It’s all the scenarios that Bo referenced. This is where the low fidelity “fail fast and fail cheap” mentality comes in. We help these employees, students, and interns, design low fidelity experiments today in order to assess the viability of developing something completely new and different in the future. I like the idea of calling it low-fidelity versus sandbox. I will give another quote from one of our participants who said, “I have learned how to brainstorm, share, and generate ideas and figure out what other skills we have that we can bring to our processes. We learn that smaller experiments could be the best way to start.” I like the employee to speak because they’re the ones who say it best. When they start repeating the words that we used, it’s time to leave. This has been a great conversation and I like how you’re bringing to offer our readers the strategy of how can we create a culture of innovation from the bottom to the top. How does our reader get ahold of you to learn more about this program? Through a couple of ways. Our academic program, you could email me at Bo@MayorW.com. That’s the consultancy company that runs the applied innovation curriculum at Rotman Global Executive MBA program. Andreea has a consulting company. Andreea, I guess your offer perhaps is an easy way of engaging with you right away. You can visit ActivePatterns.com and you can read there more about the workshops and the programs we run in applied innovation as well as in other areas like agile transformation. Many of our activities that you will see focus on this second loop of learning and they focus on boosting the creativity and innovation at the grassroots level. We also have a blog, ActivePatterns.com/blog, and there’s information there on how to subscribe or how to get in touch with us if you’re interested in the diagnostic that we offer. Do you have a quiz or a survey on that site where people can identify the current activity that’s going to lead to implementing innovation in the future? Once an interested party engages with us, then we will provide them with the link to take that survey. Just to be clear, that survey will define a Horizon One activity that they could focus on. As part of this “freemium,” what we would do is show them how that activity links to future scenarios. It’s a way to get started for free and then that may lead to some fee involvement and of course, that’s an investment in the future of your company. What a fantastic conversation. 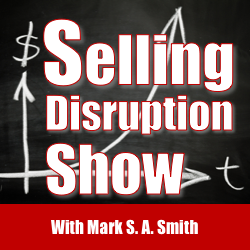 Thank you, both, for joining me on the Selling Disruption Show and sharing your insights with our reader so that they can use innovation to disrupt and prevent disruption. Bo Pelech and his partners at MayorWilson, an innovation and strategy consultancy, founded Launch180.com as an alternative incubator and accelerator, helping to develop a more broadly based entrepreneurial experience. He and his colleagues have been experimenting with collaborative creativity, applied innovation and experimentation workshops working with organizations including the Toronto District School Board and Rotman’s Omnium Global Executive MBA program. 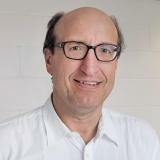 Pelech regularly serves as a guest speaker and panelist in various Humber Business School Programs and as mentor to a number of Humber start-ups. He was appointed Humber’s inaugural Entrepreneur-In-Residence in 2012. In addition to facilitating innovation and entrepreneurship workshops for Humber’s Postgraduate Global Business Management Certificate students, this fall Pelech will be leading a unique experiential small business development program within Humber’s Continuing Education program. Pelech received his MBA from the School of Business at York University in 1982. He worked in the financial services industry until the mid-90s, lastly being a Director of Structured Products and Derivatives Group at CIBC Wood Gundy. Following that, Pelech spent roughly the next 10 years building a marketing and business strategy consultancy and pursuing a series of active angel investments and entrepreneurial initiatives. He continues to be active as a sponsor and advisor to early / growth stage companies, sharing his insights and experience and helping guide business discovery and development strategies. High-performance marketing executive and entrepreneur combines a Global Executive MBA with over a decade of experience in Business Strategy, Marketing, Innovation and Operations excellence in both mature and emerging markets within various industries including Healthcare, Telecommunication and International Trade Consulting. Particularly strong in integrated sales and marketing, product innovation and development and marketing communication. Start-up and F500 experience and fluent in five international languages: French, Spanish, Brazilian Portuguese, Italian and Romanian, in addition to English. 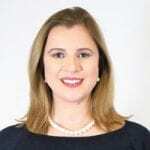 A Doctoral Candidate at Henley Business School in the United Kingdom, I combine experience teaching in person as well as online using technology platforms. Hyperpolyglot and autodidact with an epistemophilic impulse, I am a proponent of an interdisciplinary approach to business strategy. Particular areas of interest involve finding market moving customer insights by selecting the right data sources and understanding the limitation of predictive tools in answering strategic questions. Behavioural economics help augment the understanding of cause and effect and inform better decision making through controlled experiments. From startups to Fortune 500, I find elegance in chaos, ask the right questions and turn evidence-based insights into plans to support goals.